Or how it went down when I published my first novel Prolaz za divljac (The Wildlife Crossing). 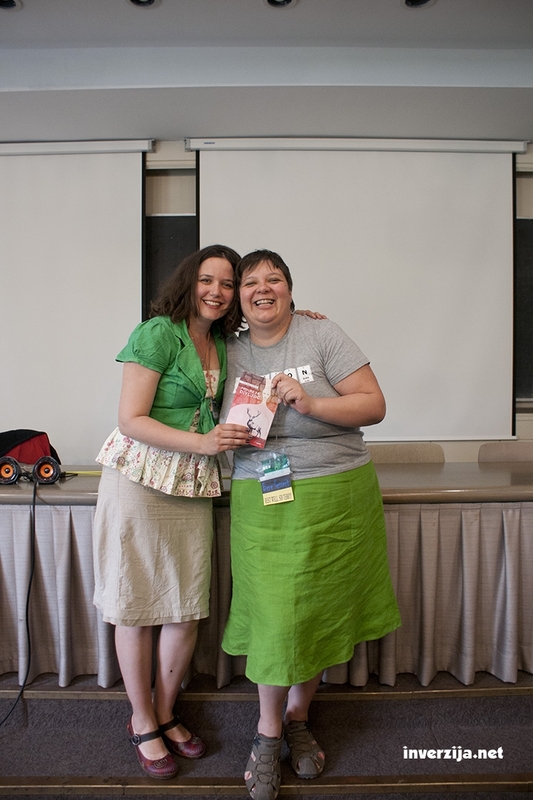 In the time that preceded publishing my first novel, my dear editor Mihaela played a game with me. It was a game called “let’s see what you can write and just how fast you can deliver a finished story”. The game was based on my constant claim that I can’t write short stories at all, be it on demand or on a set theme. Prior to that, Mihaela saw me write and write and write long pieces. She also might have been a bit annoyed by my artistic resistance against the world of demands. 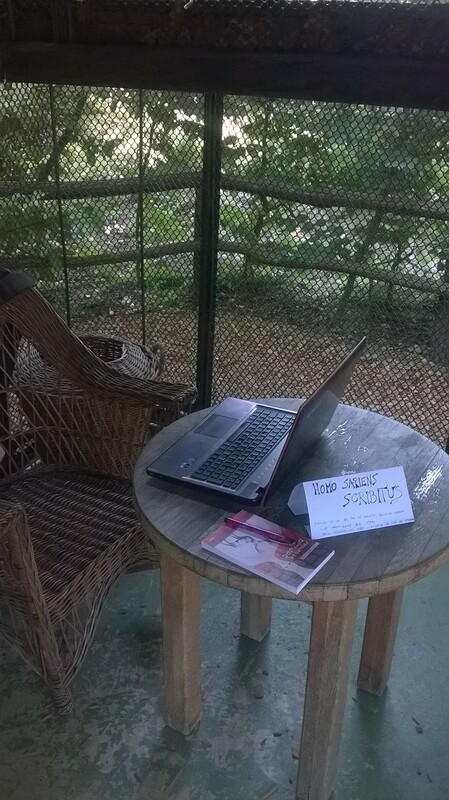 So she first asked me if I could write a story of no more than ten pages (3000 words, no more) about princesses in space in a week or so. I thought no, but then I thought of an idea I had had in grade school when I was twelve or thirteen. One about princesses in space. Back then, I envisioned princesses on a space ship in billowing gowns. I remember how cool it looked but back then I couldn’t for the life of me think of what it was they were actually they doing on a space ship and why they were wearing gowns at all. Twenty years later, I figured I might as well give it a try. And I did. And I was on time. I was even a bit a show off and made the story exactly 3000 words long including title and my name (afterwards I made it longer by four pages and it was published under the name “Sjecanje u kostima”, (“Memories of the Bones”), but at the time I did my task. And as Miles Vorkosigan would say, for successfully accomplished assignment you get a new one. That’s how Mihaela gave me the task to write a sci-fi story in English of only 560 words and attached a deadline to it as well. To write such a short story was something I thought I could never do. But the task was there and the deadline too, and soon there it was also a short story of 560 words there as well. I had done it! But there was one problem. This story was tied to previous one and in the end of it there were even the princesses from that previous story. Mihaela said that there is no problem because it could be read as stand-alone story and we worked on it, she kindly corrected my English and kicked out some unnecessary characters. That story was also soon published under the name “No Shelter in Death”. Problem was that I couldn’t. The pull of the story was too strong. So I said I would write it by the deadline and then skip to another one. I did and had written by 6700 words deadline but the end was nowhere in sight. My characters hadn’t even left the ground yet. So I put this story down and started with a new one with a new deadline. That one I finished in time and it had 7000 words (exactly) and a somewhat happy ending and that one I called “Mercy Kill”. But guess what? It turned out that the characters from that story, Sans, Leticia and Benon, were on a planet by which the characters from my previous story, Alyes and Lordan, passed and they were even mentioned as the passersbys. That seemed like huge coincidence but the story was over and I got back to my travelers, Alyes and Lordan. I started to plot their story in my head just to see how long will it take for them to engage in any form of romance. But as I rolled possible events in my head, a strange thing started to happen and I started to call my friends around just to yell in their ear. It was too much to bear on my own. It was simply too big. At that point in time I had already written a whole bunch of things – I have more more manuscripts than published works lying around, and I have published at least one story per year, often more, for the past decade or so. I have been writing for years and do it very regularly. My stories are pretty diverse and often worlds apart. Or so I thought. What was so different about this story after so many of them? The characters Alyes and Lordan were interesting enough, but so were others before them. It took me awhile to realize that the answer was very simple. They were first characters to travel between worlds. In other stories, I did not do space travel or the worlds weren’t progressive enough to travel around for pleasure or fun, or even business. And as I examined this story and its traveling further, I realized the connections between them and some of my previously written stories. It turned out that most is my science fiction stories are connected to planets they pass by. First there was Pustinja from the novel I started in 2002. Then there were different stories written and published over the years, each one holding an element here and there. Soon, I realized that I have been writing about this universe for years now, not knowing it. Almost all of my characters were inhabitants of the same space, if not of the same era! I burn out just thinking about vastness of it all. Anyway, the point of this is that no, I can’t seem to write a short story. I only know how to stop at some moment and say “That’s it, for now!” Because it turned out that all of my stories are about to be devoured into the Alyes and Lordan saga. I won’t tell you how many books it will be because it’s a bit embarrassing to be as obsessive about characters as I am. But I can tell you that there is a map of this universe, a chronology is under construction and “Changing Skin” is written half way through – I even went and published first chapters on Inkitt under the pen name Risa Zugva to push myself to finish it as soon as possible. That other story of romance in space, “Mercy Kill”, ended up fitting into the universce quite nicely. Princesses, Robert, Sans, Minor and many others will show up in this form or another, or at least as history, herstory or memory. 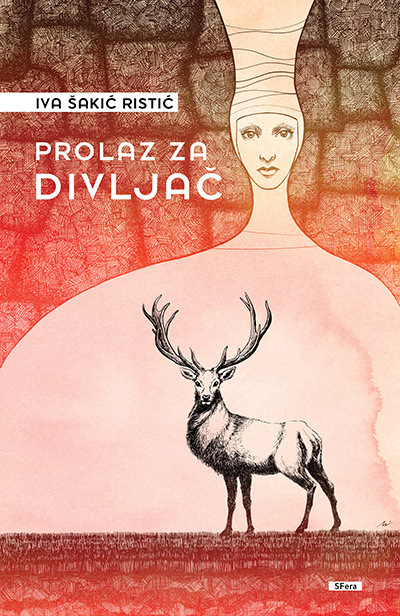 As for my first published novel, Prolaz za divljac (The Wildlife Crossing), one that I have considered pure fantasy up until now – it also got its place in the Colonial Universe. Already been mentioned in “Changing Skin” now I understand how it fits in and why I fought so hard to keep certain details in it. So for years now I’ve been living in that other universe without knowing it. It stretches so far in my personal past that there aren’t just princesses in gowns that I could see blurryly in my teens in there but also my first ever written story about a woman alone floating in space without hope that she’ll reach her destination. So to wrap it up with a short description. It is called Colonial Universe because there is a bunch of planets that were colonized with ships from Earth. In light of their incapacity to communicate with Earth, and one another, new planets developed different cultures and laws. Some fell into recreating the past to their liking, some progressed, some forgot everything and even themselves. But in time they found a way to travel faster and communicate. 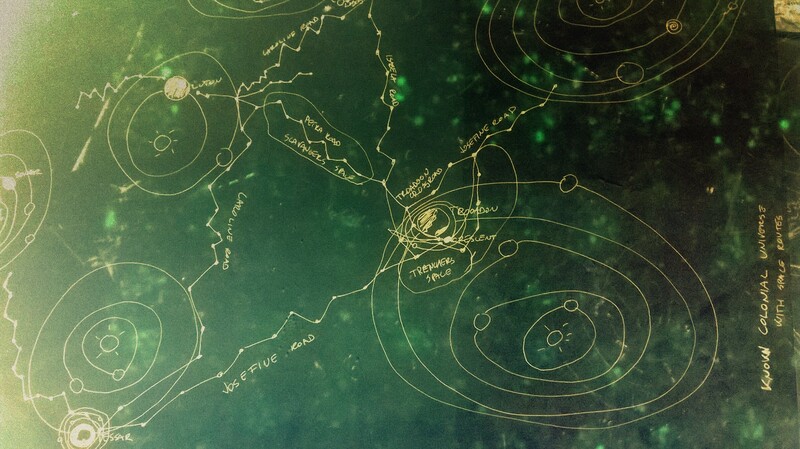 At the point in time where we enter on planet Tessar in “Changing Skin” there are five planets are connected by fast routes, two of them are in process of being found, one of which is New Etna from The Wildlife Crossing, and Earth is nowhere to be seen. They’ve managed to lose it entirely. It was providence that all this played out just before my novel went to print because I was able to make some crucial connections with future events and add a last chapter to it in which Trenk, not Lordan, gets lost in darkness. So I’ve already started to get stories from Letters from New Etna, Tessar, Dentolyne, Luton and Pustinja while Trooadon is still silent. But, there will be time for all of it. Till then read some of me and spread the word because who knows, even if you hate my first efforts, you just might fall in love with some future ones.